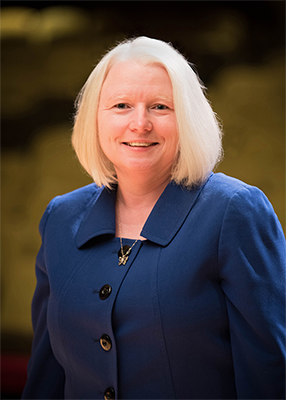 Sandy Goldie teaches undergraduate and graduate music education courses at Virginia Commonwealth University, where she is the string music education specialist and Assistant Professor of Music Education. Before her recent move to Richmond, Virginia, she spent several years teaching string music education courses at the University of Florida where she completed her PhD and was awarded the David Wilmot Prize for Excellence in Music Education. She is an active guest conductor and clinician across country, working with many honors groups, all-regions, youth orchestras, as well as conducting the 2009 All-State Orchestra. Having worked as a public school orchestra teacher for fourteen years and with school-aged string students for more than 30 years, Dr. Goldie enjoys working with students of all ages. Dr. Goldie is a frequent guest speaker and music teacher professional development clinician and has presented her research and ideas at state, national and international conferences (NAfME, ASTA, The Midwest Clinic, VMEA, TMEA, ISAME and others). She has worked to promote music education at the local, state and national levels through leadership positions in professional organizations such as VASTA (President of VA chapter of the American String Teachers Association and former SC President), VMEA (President-Elect of High Education Division) NAfME (former executive board member, SCMEA orchestra division), VVS (Executive Board, Virginia Viola Society, former SC President-Elect) as well as serving on Arts Advisory councils at the local and school levels. Dr. Goldie completed her PhD in Music Education at the University of Florida, her Master’s Degree in Music Education at the University of Georgia and her Bachelor’s degree in Music and Music Education at the University of South Carolina.